First off, thank you so much for all of the sweet comments on my O Christmas Trees Quilt!!! You all sure know how to make a gal feel great!! I worked on some bee blocks this weekend and had so much fun with them. I so enjoy being part of these bees!! It is always fun to have an excuse to try new blocks each month. This months, Jan had us make these adorable tulip blocks using this tutorial ;) These turned out so cute and I totally want to make a quilt of these some day ;) Another added to the list! So now they are off in the mail and I am excited to see what I get to put together next month for the Bees Knees. And a bonus . . . next month is my month for the Beejeebers. I need to decide what block I want my fabulous bee mates to whip up :) Decisions, Decisions?? Any suggestions on a great scrappy block?? 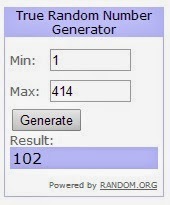 And last, but not least, I need to choose a winner for the Superior Threads giveaway. Thank you for all of those who commented. I am sure you found that Superior Threads is just amazing and thank you to them for sponsoring this fun giveaways!! 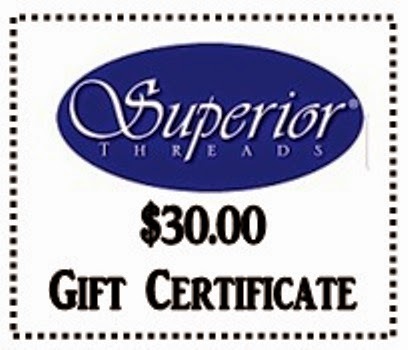 So . . .Without further ado, the winner of the $30.00 Gift Certificate to Superior Threads is . . .
#102 . . . Congrats to Lorraine!!!!! congratulations to Lorraine, your bee blocks are very cute. Lucky Lorraine!!! Those Bee blocks are cuties...especially love those tulip blocks! thanks for ther link for the tutorial for the tulips, have added them to my to do list which is getting longer and longer will need to live to 150 to do all I want to do and win the lottery too to afford it all. I am working on a MINI quilt called Ladybugs and Dragonflies. It's leaving me with lots of even mini-ier pieces which will be used to make a mini postage stamp quilt. By the way, I follow on Facebook! Thank you for the beautiful inspiration!